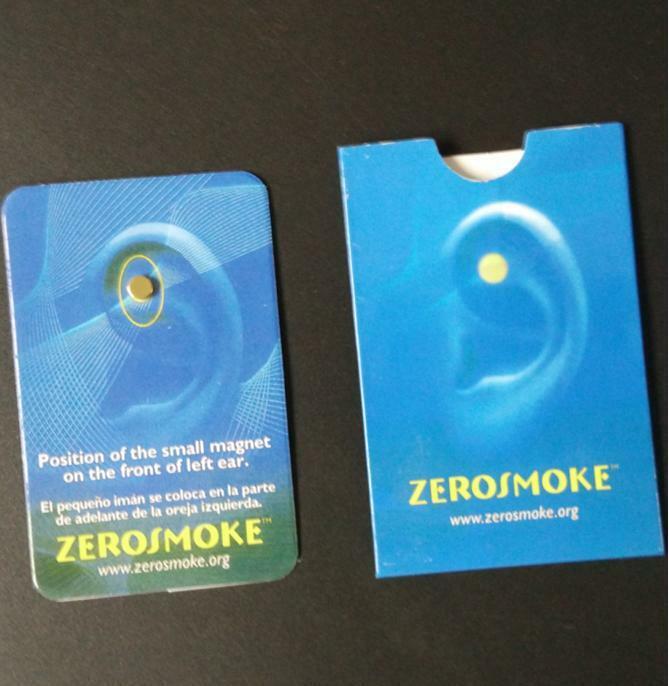 Zerosmoke is a smoking cessation device that consists of a pair of bio magnets which are worn on the inside and outside of the upper ear at a specific pressure point. The magnets work through Auricular Therapy and use the principles of acupuncture to release the same endorphins in the brain which are released when a cigarette is smoked. A smoker can still smoke while using the magnets, but they may notice that the cigarette isn’t as appealing and they will gradually lose their desire to smoke, generally within one week. Auricular Therapy was discovered by Dr. Paul Nogier in the 1950s, when he noticed the connection between areas on and within the ear which, when stimulated, relieved pain in corresponding parts of the body. 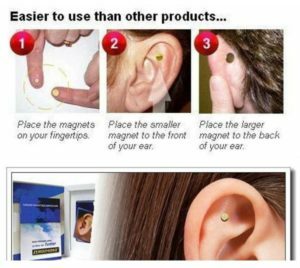 The magnets are worn in a specific spot on the ear which corresponds to an area in the brain that activates when a cigarette is smoked. Zerosmoke is an FDA-listed medical device which serves as a chemical-free substitute for smoking and has no nicotine, as do many other stop smoking aids. Zerosmoke does not wear out or need any subsequent supplies, so there is no need to order anything after the initial product is received. The bio magnets are to be worn for 3 to 4 hours each day, generally for a few hours in the morning and then a few more hours later in the day. Initially, the magnets are placed on the left ear, but if that ear becomes tender, the magnets can be switched to the other ear. The manufacturer states that Zero smoke should not be used by anyone with a pacemaker, defibrillator, implanted insulin pump, or other electro-medical devices, as the magnetic properties of Zerosmoke may interfere with the functioning of these devices. In addition, pregnant women should not use Zerosmoke. Since Zerosmoke is not ingested, it does not have an ingredient list. 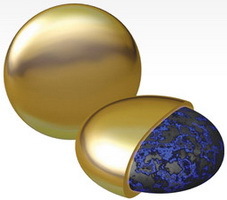 Zerosmoke’s set of bio magnets are plated with 24-karat gold so that people who are allergic to cheaper metals are less likely to have a skin reaction from the contact with the magnets. The Zerosmoke website claimed that the product has helped more than 2 million people to quit smoking. The use of acupressure to activate points on the body for certain outcomes has been proven effective in many research studies, so the scientific principles behind the Zero-smoke magnets are fairly sound. The product testimonials, however, are mixed. Many people note that the Zerosmoke device did decrease their urge to smoke, but not completely eliminate it. Anyways I’m gonna try it out and let you guys know if its a Scam as the zerosmoke.org website has been taken down hmmm.